Lynn Electronics Corporation founded in 1964, is one of the foremost providers of data and telecommunications products in the market place today. Lynn is committed to providing the most complete product offering, delivered on time and at the most competitive prices for the OEM and Communication / Data market place. We offer a complete solution for copper and fiber optic cabling and connectivity requirements. Products include telephone cords and cordage, CAT5E, CAT6 and CAT6A slim-line high density patch cords, 25 pair CAT3 Telco cables, CAT5e Avaya/Lucent 525 Telco cables, audio/video cables, PC and data cables, coaxial cables and fiber optic pigtails, patch cords, jumpers and multi-strand assemblies. Lynn also offers a full line of high speed Ethernet and Gigabit media converters, switches, rack mount chassis, attenuators, SFP’s, XFP’s, transceivers and associated hardware and components. 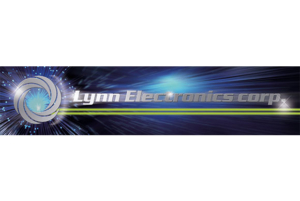 Lynn Electronics’ extensive inventory allows us to react to the smallest or largest requirements with minimum lead-times. Products are shipped from our factory in Ivyland, PA. (just outside Philadelphia) or from our satellite warehouse in Pompano Beach, FL. Most orders are shipped complete from stock. Lynn Electronics’ US manufacturing plant has the capability to provide a quick turnaround times for high volume and low volume time sensitive requirements. Lynn has the experience, knowledge and capability to manufacture everything from standard copper and fiber optic assemblies to complex wire harnesses and Mil-Spec connectors.